Digno Garcia was born in the Paraguayan village of Luque, not far from the capital Asunción in 1919. When Digno was a boy, his father forbade him to play harp, so he temporarily changed to guitar. At the age of 17 his uncle took him to the harbour of Asunción in search of suitable wood to build a harp. With the harp he made, he introduced a whole new style, with a very distinctive Digno Garcia rhythm. On that same harp he composed his first great success, Cascada, a harp solo inspired by the Chololo waterfall in Piribebuy. Luckily, a record company attended one of his performances and offered him a contract. He then toured South America and Mexico. In the early fifties, Paraguay entrusted its top 3 musicians with a 2-year mission during which they would travel around the world as the country’s cultural ambassadors Trio Los Paraguayos. This trio consisted of Agustín Barboza (known as king of the Guárania – Paraguayan love song), Luis Alberto del Parana as lead vocalist and Digno Garcia, harpist. Via Genoa, Italy, the trio arrived in Europe in 1954. From there, it went to Belgium. Famous in South America, they were completely unknown to the European public. The Paraguayan consul in Belgium was given the task of launching the trio. Thanks to the intercession of the consul, the director of the casino in Knokke gave the trio the opportunity to open for Gilbert Becaud for an 8-day trial period. The success was huge. After three days, the trio was given a contract for July and August. The record company Philips soon learned about the success and offered the trio a record deal. From Knokke they went to the Monte Carlo Sporting Club, where they were asked to perform on Aristotle Onassis’s yacht. Lobster and crayfish were a whole new experience for the musicians who were used to eating steak and who originated from a country that is landlocked. It was then that Onassis asked Digno if he would play the harp just for him. After playing in Gstaadt, Switserland, they toured the major European casinos. In the summer of 55, again via a 2-month tour, their succes lead to the Ostend casino doubling the fee they had received from the Knokke casino. There, they were also invited to do a television broadcast from the Philips studios in Hilversum.After that summer and with the cultural mission completed, Perez Prado (known as king of the Mambo) invited the trio on a world tour. Luis del Parana was very enthusiastic, but the other two felt that they could easily continue on their own and that there was no need for them to link up with a mambo orchestra. This difference of opinion heralded the end of the trio that, under the name of Trio Los Paraguayos, recorded 3 traditional Paraguayan folk albums (10-inch record) for the Philips label. Luis then called on his brother from Paraguay to form a new trio in Germany and continued to work for the Philips label. Agustín Barboza returned to Paraguay making it his base. Although the three Paraguayans who formed the original trio each went their own separate musical ways, they remained friends for life. Digno Garcia stayed in Belgium and had a trio come over from Paraguay. From 1957 and 1959, the four of them formed Digno Garcia y su Trio del Paraguay. Between 1959 and 1964, Digno formed the Trio Digno Garcia, together with Felix Rolon and Daniel Cardozo. In the meantime, Digno had signed up with Jacques Kluger, the boss of World Music in Belgium. During his Belgian tour in Knokke, Digno met his future wife, Vera Engelen. They married in 1962 and settled in Geraardsbergen where he lived until his death in 1984. From 1964 till the end of his career, Digno worked with a new trio, Digno Garcia y sus Carios. 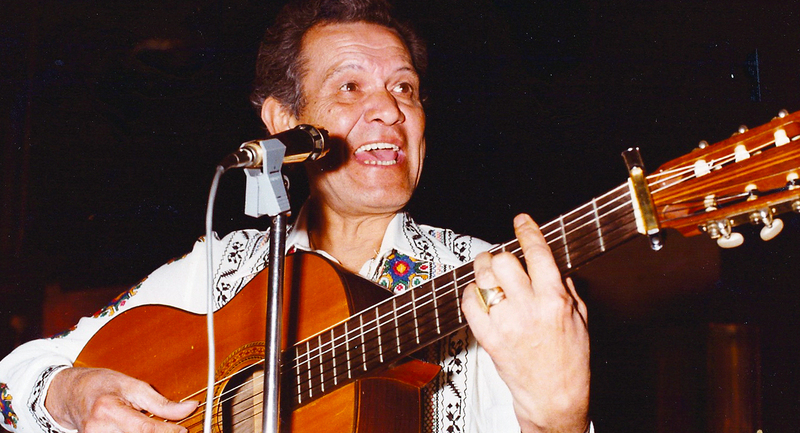 He played with Lucho Marin and Miguel Angel Gamarra, who were later replaced by Ricardo Ortiz lead singer, and Alfonso Irala, also from Luque, second voice who specialised in playing the requinto guitar. Alfonso joined the trio in spring 1970 and at that time the lead singer was Julio Rojas, who on leaving the trio shortly afterwards, was replaced by Ricardo Ortiz. Digno Garcia scored his greatest hits with his own rendition of the Cuban traditional song ‘Guantanamera’, and with his personal interpretation of ‘La Felicidad’ and ‘Brigitte Bardot’. 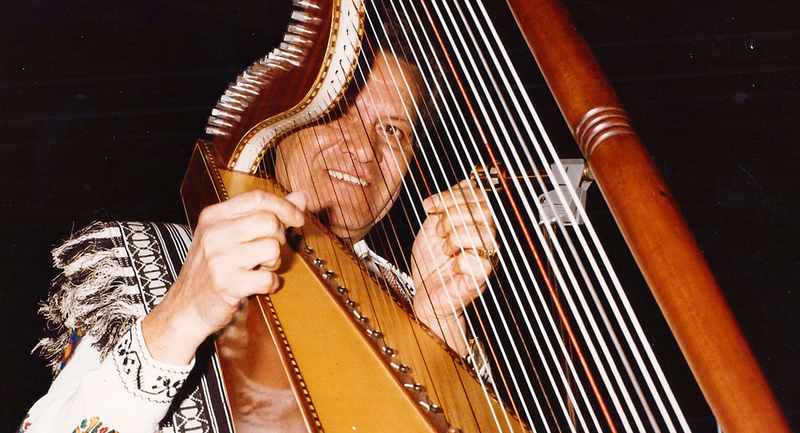 All that time, he continued to make his own harps for which pinewood was imported from Yugoslavia. From Geraardsbergen they toured the globe. Eastern Europe stayed out of their reach, but they did play in Japan, the Philippines, Iceland, the USA, Thailand and Lebanon. Every summer Digno returned to Estartit, Spain, from where he toured the Costa Brava. There, he wrote the song ‘Costa Brava’ which topped the charts in Spain for two years in a row (’67-’68). He wrote 80 songs and made about 40 records, which are still very popular today due to their timeless sound. In 1994, the first posthumous CD was released. In that same year, the first memorial concert ‘Digno Garcia para Siempre’ was organised in Geraardsbergen in Belgium. The memorial concert was such a big success that it had to be moved to the Okapi Forum in Aalst (also in Belgium) where, since 1997, it has its own place in the Flemish music scene. Digno Garcia specialised not only in playing the harp & Paraguayan folklore but also Spanish & Latin American classics He & his companions toured the world bringing this hitherto almost unknown music to millions.